To solidify its standing in cyberspace, President Xi Jinping unveiled his vision of China as a hegemonic “cyber-superpower” last April. The Cyberspace Administration of China (CAC) published an analysis of Xi’s approach for global digital policy in the Party’s leading journal Qiushi, which underlined China’s main priorities to rise as a formidable force. Essentially, Xi aims to achieve technological self-sufficiency, build an impenetrable cyberdefense, invest in stricter government censorship – and most significantly, use its hegemonic power to reshape the rules of Internet governance on a global scale. But if China gets its way, it’ll be the end of an open Internet. To China, cyberpower is necessary to operationalize its national priorities. For one, Xi aims to achieve total independence from foreign suppliers of digital components. Back in April, Chinese telecommunications equipment company ZTE’s reliance on U.S.-made components caused a significant halt in activity after the Trump administration cut off supplies through sanctions. For Xi, China’s shortage of indigenous industries meant the function of its critical operations were at the mercy of other states’ cooperation. To wean China off its reliance on outside suppliers, Beijing has committed to techno-nationalism by investing hugely in AI and semiconductors to eventually develop its own self-sufficient technological base. China also desires a strictly regulated, “positive” Internet that first and foremost serves the interests of the Party. For Xi, the government must harness enough technological capacity to moderate the Internet and its use effectively. 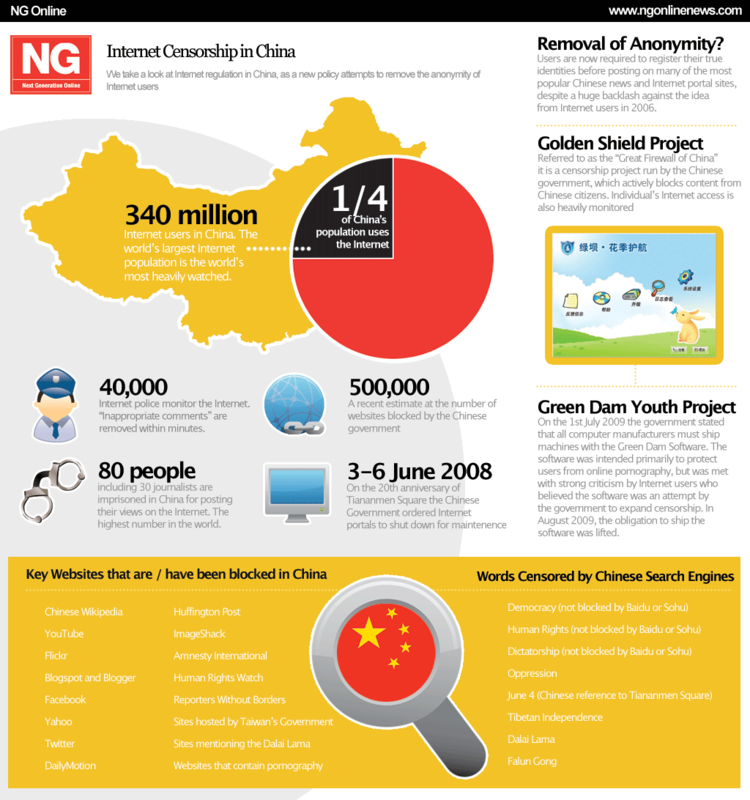 Recognizing the Internet’s key role in controlling public opinion, CCP states that they must “dare to grasp, dare to control, and dare to wield the bright sword; refute erroneous ideas in a timely matter, comprehensively clean up online rumors, violent videos, and other harmful information.” The CCP has been carefully guiding the Internet to promote economic growth, effectively disseminate propaganda, and squash dissent that could undermine the regime. But for China, becoming a cyber-superpower is for something beyond a simple ego trip. Ultimately, it wants to amass the tremendous influence to shift the scales of how the Internet is currently governed internationally. Out of Xi’s national priorities, most significant is his vision for ‘cyber-sovereignty’ – a world full of national Internets. Under his plan, each state has the utmost authority to monitor and censor online content within its borders without foreign interference. In recent years, China has used its technological prowess to exert its influence over its citizens’ Internet operations and progressively tighten its control over the narrative told online. As Qiushi notes, all activity by its netizens is rigorously monitored to ensure that all information “tell[s] a good story of China.” The CCP sees the Internet as an influential platform that can sow seeds of discord, spread unflattering information, mobilize protestors – and thus highly restricts its use to prevent its citizens from harnessing that power online to undermine the regime. For example, any online user that expresses dissent, signals intention to protest, or mocks senior political figures of the CCP is swiftly blocked by the government and reported to the authorities for potentially criminal measures. According to NG Online, 40,000 Internet police monitors are tasked with closely tracking ‘inappropriate’ posts, and as of June this year, 80 people have been imprisoned in China for what they have posted online. Not only is Xi determined to “push China’s proposition of Internet governance toward becoming an international consensus,” its alternative model of the open Internet is already gaining popularity. Weaker states find it appealing because control over open online platforms can stymie political movements and suppress dissent that may undermine its national security. On top of that, China exerts significant influence over the development of cybergovernance policy of foreign governments because of its various capacity-building initiatives. For example, in 2015 China helped to boost Tanzania’s national development through its own advanced industrial capacity and technological expertise. Since then, Tanzania has similarly espoused online content control in their cyberpolicy, which was jointly crafted with the Chinese government. Other Chinese partners such as Egypt, Ethiopia, and Sudan have also advocated for more stringent online surveillance measures. As more and more states support Xi’s strictly-controlled alternative model, China will essentially set the tone for the way the Internet is governed. However, even more alarming is China’s lack of checks and balances in its ascendence as a technologically self-sufficient world power; Xi’s state-centric vision allows for China to grow into a hegemonic force in cyberspace that is largely impervious to outside intervention or deterrence. Beijing’s independence from outside providers for its major operations shuts out foreign participation or at least forces states to participate on China’s own terms. This essentially leaves China’s problematic governance decisions untouchable by other states that lack enough leverage to restrain it if needed. In order to balance China’s rise as a cyber-superpower, the U.S. must constantly assert itself as a comparatively formidable force in cyberspace by advancing its own technological capabilities. However, it can’t just end there — it must harness that influence to advocate for internet freedom and to challenge the authoritarian principles that underlie some of CCP’s cyberpolicies, therein equalizing the ideological battleground. U.S. officials should proactively engage in bilateral communication with China, in which they bring up privacy and free speech issues in both public and private settings. On top of that, the U.S. could help to counter censorship efforts by the government by funding certain projects that assist Chinese citizens to circumvent the infamous Great Firewall. For example, the U.S. could extend support for current initiatives to audit, retain, and redistribute online censored information within China and back different efforts for greater Chinese netizen awareness of government surveillance. If China gets its way, the Internet will inevitably become less open and less free. The values of its competing model directly clash with the foundational principles of the Internet in Western democracies: open information-sharing, global connection, shared responsibility of its maintenance. But China’s cyber-sovereignty policy would mean that such online platforms will only provide its users highly censored content, swift crackdowns on any form of negative expression, and government voices will drown out those of civil society groups and individuals. With China’s rise as a cyber-superpower the rules of the Internet will be rewritten to ensure the longevity of an authoritarian regime – but implemented on an international scale. Who knows, maybe in a couple decades a ‘free’ internet will just be a relic of the past.